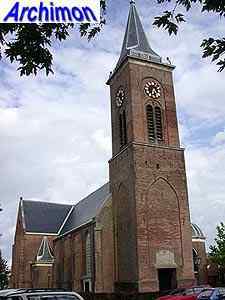 The reformed church is a late-Gothic one-aisled cruciform church from the 15th century. The tower dates from 1705 and was built to replace the original tower, which collapsed in 1702. 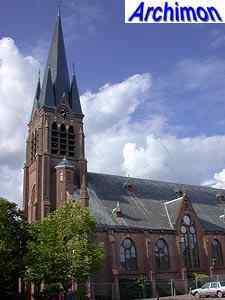 The Roman Catholic H. Johannes de Doper is a pseudo-basilican church in neo-Gothic style, built in 1880-1885 after a design by E.J. Margry, A.A.J. Margry and J.M. Snickers. 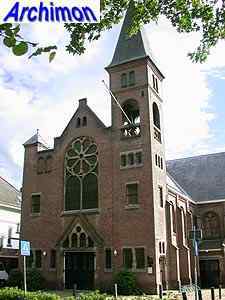 The Gereformeerde kerk dates from 1909 and was designed by local architect A. Griffioen. The church features elements of Rationalism, a style that was often used for churches of this denomination in the first two decades of the 20th century.